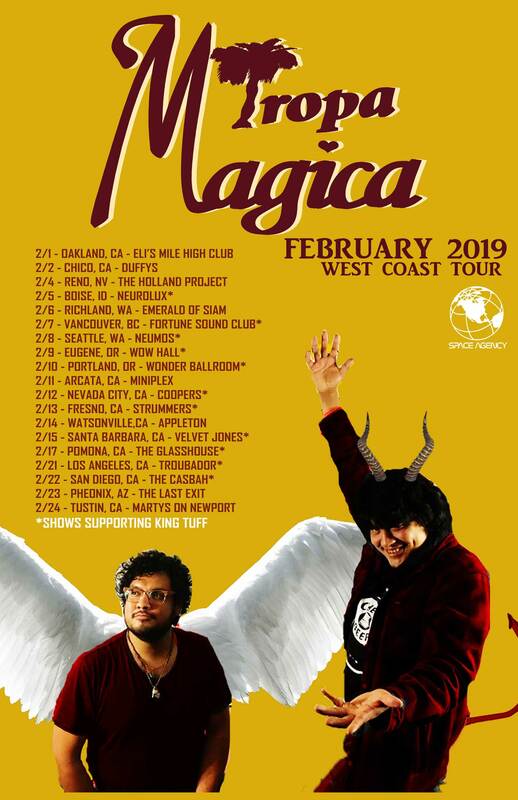 Tropa Magica leaves on tour Friday and will be sharing some shows with L.A. RECORD cover dude King Tuff (interviewed here) including their homecoming shows at the Glass House on Sun., Feb. 17—get tickets here!—and at the Troubadour on Thurs., Feb. 21—get tickets here! And they’ll be headlining Marty’s on Newport in Tustin on Sun., Feb. 24—get tickets here! Discodelica will be coming soon, and Tropa Magica’s wild self-titled debut from 2018 will be hitting vinyl this spring. Visit Tropa Magica here and full tour dates below.